Meet our staff at Bexhill Leisure Centre. Each month we would like to introduce you to a member of our gym staff. If you ever have a question or need some advice please do not hesitate in asking one of them for support. They are there to make sure you get the best from your work out and that you are safe when you perform exercises. 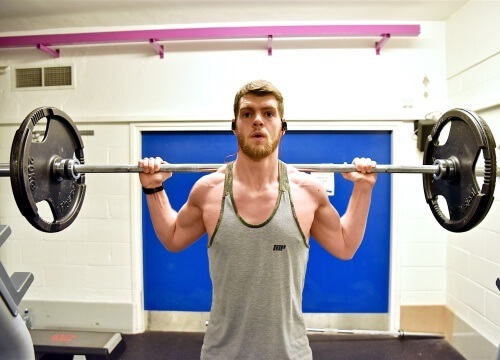 Alex is a Level 4 Personal Trainer/Phase 4 Postural Stability Instructor, a Level 3 Nutritional Advisor and a certified Spin, Armageddon & Kettlebells Instructor. Alex has been involved in competitive sports since a young age and health & fitness is something he has always had a passion for. From helping people with their weight management and physical development, Alex specializes in functional training, with an in depth knowledge of various training methods and nutrition. Why not book in a free half an hour PT with Alex to see whether he is the most suitable trainer to meet your exercise needs?